Last Tuesday, Ben and I were meeting to plan great things for the comic shop (I'm the marketing maven). He says to me, "I want to start reading one comic book everyday." But this is different: this time it's for himself. We commiserate about how life and work and business and the business of life get in the way and how comics get pushed aside far too easily. And then, well... things got in the way. Two days go by but I still hadn't read anything -- not even on "New Comic Book Wednesday." So, today, Thursday, we're meeting again (there's always lots to do right before Free Comic Book Day Festival). Before we start working, Ben says, "I want to read one comic everyday, so that's what I'm going to do first." "Ok. Me too." So he reads Low and I read Think Tank (by Matt Hawkins who you can meet at FCBD Festival, by the way). And thus begins a new movement, a new initiative! 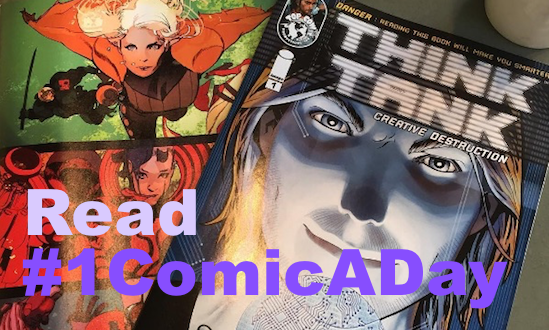 You are invited to join us, even if you already read one comic (or more) every day. But if you don't, we're ok being a movement of two (haha, pathetic!). Ben will post his reads on Instagram/Twitter and I will post mine on Twitter. We'll be hashtagging it with #1ComicADay. Turns out that this works really well: we both read three books today. We're want to make this as easy as possible as possible for the more than one thousand Savings Club Members and new friends and visitors, SO we put together this little map. And it also shows where all the fun is. There's so much fun and free comics planned. See you bright and early on Saturday, May 7. If you haven't already, add the #FCBDFestival FB event to your FB calendar to keep up with all the upcoming updates. 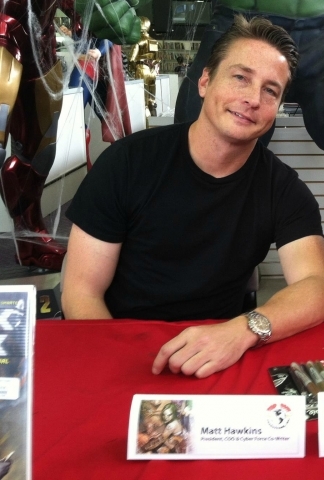 We're excited to announce that Top Cow Productions' President/COO and comic book writer Matt Hawkins will join us for Free Comic Book Day Festival 2016. Matt has created and written more than thirty new comic book franchises for Top Cow and Image, including, to name a few, Think Tank, Symmetry, The Tithe, Necromancer, VICE, Lady Pendragon, Aphrodite IX, and Tales of Honor. "I've also thought for years that the sciences are kind of poorly represented to kids here in the United States in school. I have two sons in high school, and they told me how boring they found science. That struck a nerve, so I was determined to try and show scientists in a positive light. And not just billionaire geniuses like Tony Stark." We're over the moon excited to have Matt with us for this special event. Be sure to bring your copies of the books that Matt has written so that he can sign them for you. A complete listing of activities taking place during #FCBDFest is currently available. Something about this year's mini-con just didn't feel right. We didn't know either. Until we took a quick tour through some of our old photos, for example, these two photos from Free Comic Book Day Mini-Con 2013. Can you see our problem? Exhibitors at T-18 minutes until doors open. FCBD Mini-Con 2013. Two stormtroopers, Lalo, and a fire truck. FCBD Mini-Con 2013. 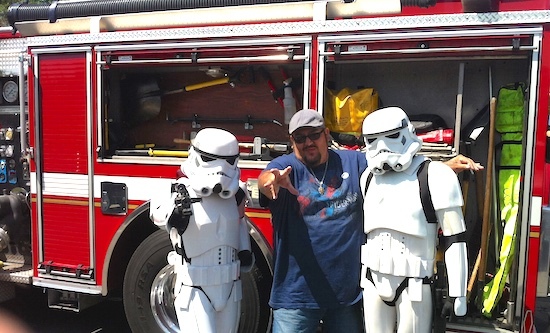 At Free Comic Book Day Mini-Con 2013 -- back in the early days of our mini-cons -- we had a small handful of exhibitors, two stormtroopers, one Lalo, and a fire truck. Seeing these old photos was our "That's no moon" moment. That's right: It's a space station. So, starting this year, Free Comic Book Day Mini-Con is now Free Comic Book Day Festival. 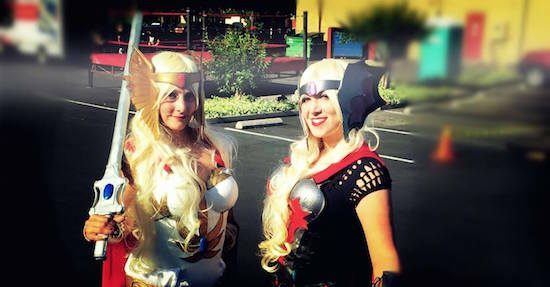 And just in case you need some evidence, check out these photos from FCBD "Mini-Con" 2014. And believe it or not, this year's festival will have even more fun than previous ones. It's going to be a great Free Comic Book Day Mini-Con this May 7! If you're looking for a list of this year's titles, we put together this checklist (download it today) for you. Remember, everyone can take one of each title that he or she wants to read, while supplies last. 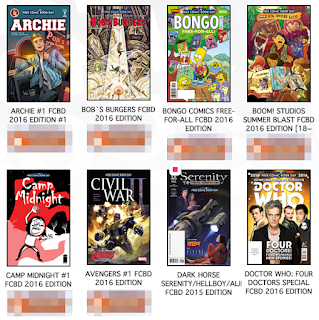 Savings Club Members, we sent out your FCBD advanced selection list today. Please check your email for it. Make sure to turn it in by the last Friday of the month. On FCBD, we're opening the doors an hour early (8am) just for you. 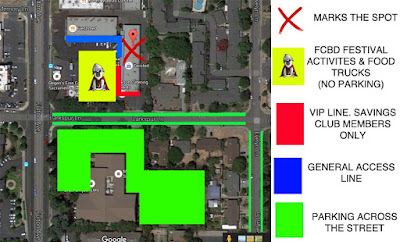 Then at 9am we'll let in additional visitors. 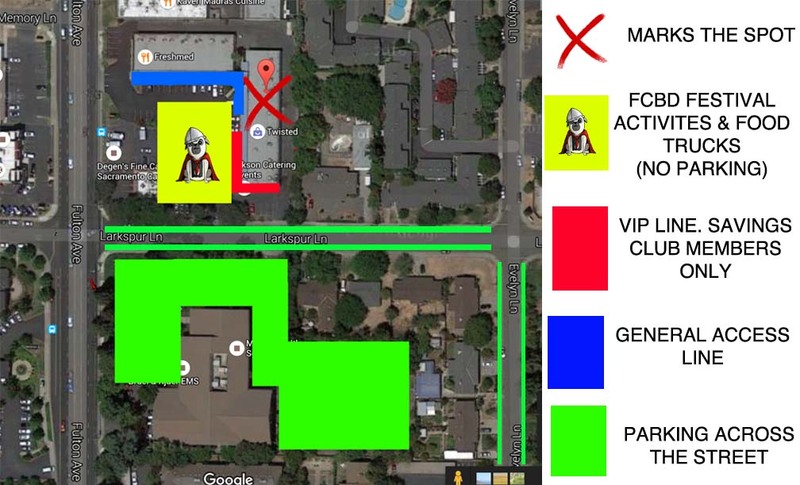 Make sure to use the VIP line. If you're not a Member and want to sign up, ask about signing up in the shop (you only need to subscribe to one title), HOWEVER, you won't qualify for FCBD Benefits until next year. 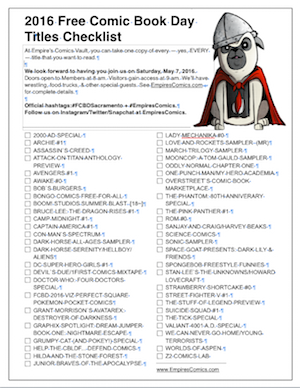 In the meantime, print this checklist and figure out which titles you want the most (for cover images of this year's titles, visit FreeComicBookDay.com). NEW IN 2016: In past year's we've invited the community to celebrate the joy of reading comic books all month long. 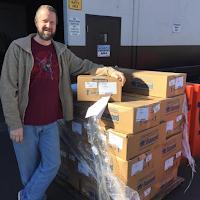 We call Free Comic Book Month (FCBM). THIS YEAR, WE HAVE AN IMPORTANT CHANGE: FCBM will only be for Savings Club Members who are already signed up. 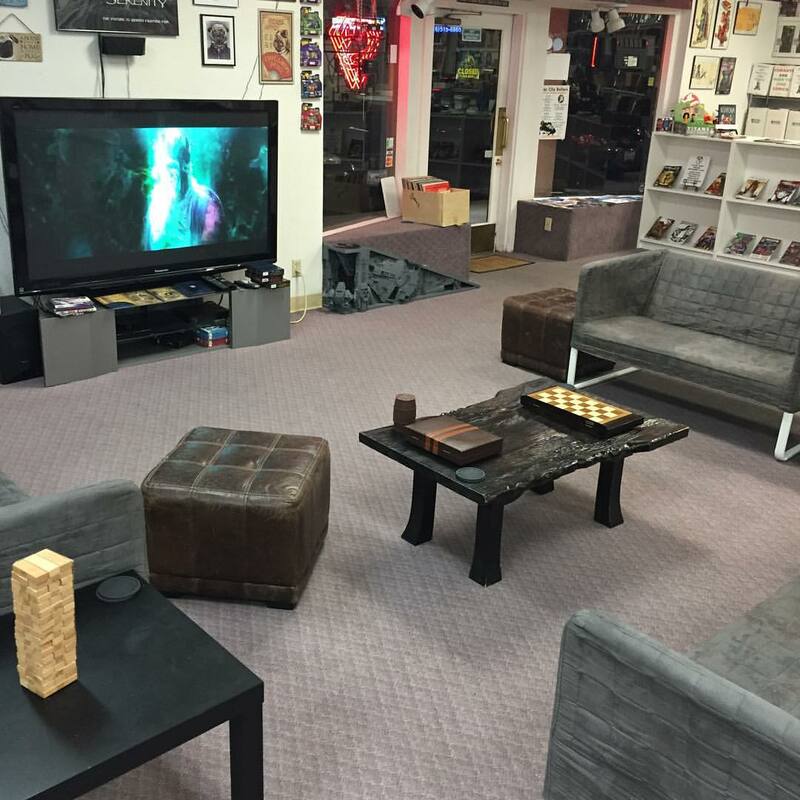 Members will be able to show up any Saturday or every Saturday in May to get more free comic books. We'll have more details coming soon. 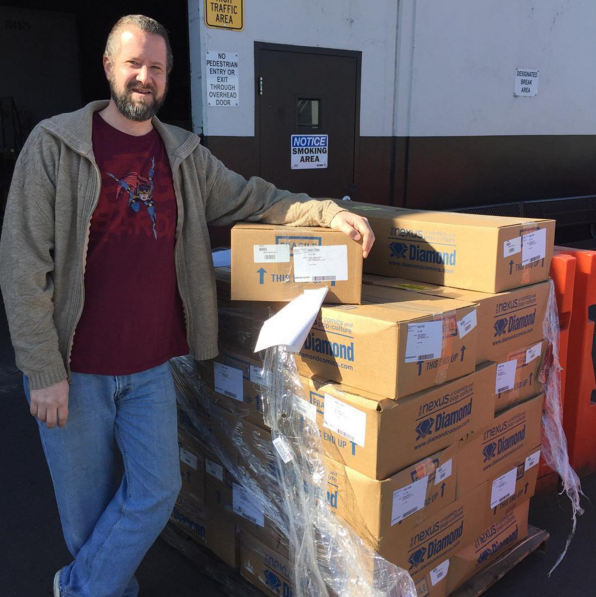 We're 22 days away from Free Comic Book Day Mini-Con 2016 and poised to give away 20,000 free comic books! Here's a look at just one of the pallets of boxes that we received. There were two of these. Loading and unloading these into the trucks really gave us quite the workout this morning. So, as we draw closer to the ultimate day of the year, we thought we'd take a moment to reflect on the moments that made 2015 an amazing year -- all 15 of them! Which of these were your favorite Empire's moments? We'd love to hear about it. Let us know in the comments, please. One of Ben and Jen's long time favorite comic book authors, Barbara Kesel (listen to the interview) joined us at Creative Women Mini-Con 2015. On top of that, Mairghread Scott (listen to the interview), the first woman to write a Transformers comic book and author of Toil and Trouble, also joined us! 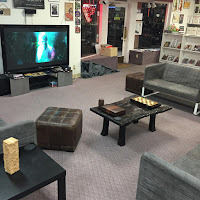 Empire’s Comics Vault will host a mini-comic book convention for the internationally celebrated Free Comic Book Day (FCBD) on Saturday, May 7, 2016 from 8 a.m. - 8 p.m. (add this event to your FB calendar) at 1120 Fulton Ave., Suite K, in Sacramento. 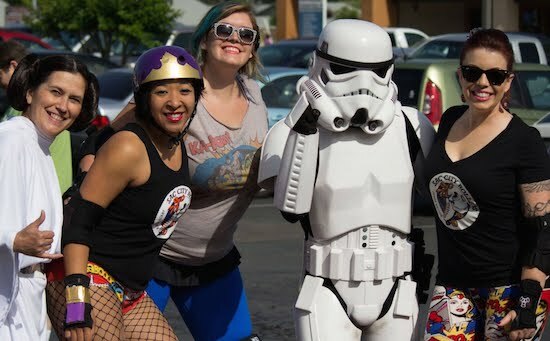 The mini-convention is a celebration of the joy of reading comic books and of Sacramento’s talented community of artists, writers, food truck purveyors, wrestlers, and other groups. The event is dedicated to sharing a love of Sacramento’s diverse interests and of reading comic books.